This appeal was heard by a nine-Justice Supreme Court on 16 March 2010. Five of the Justices were members of the nine-judge House of Lords which decided R (Gentle) v Prime Minister ( 1 AC 1356). The Court decided ( UKSC 29) the important issue of whether a soldier on military service in Iraq was subject to the jurisdiction of the UK within the meaning of Article 1 of the Convention and is therefore protected by the Human Rights Act 1998. 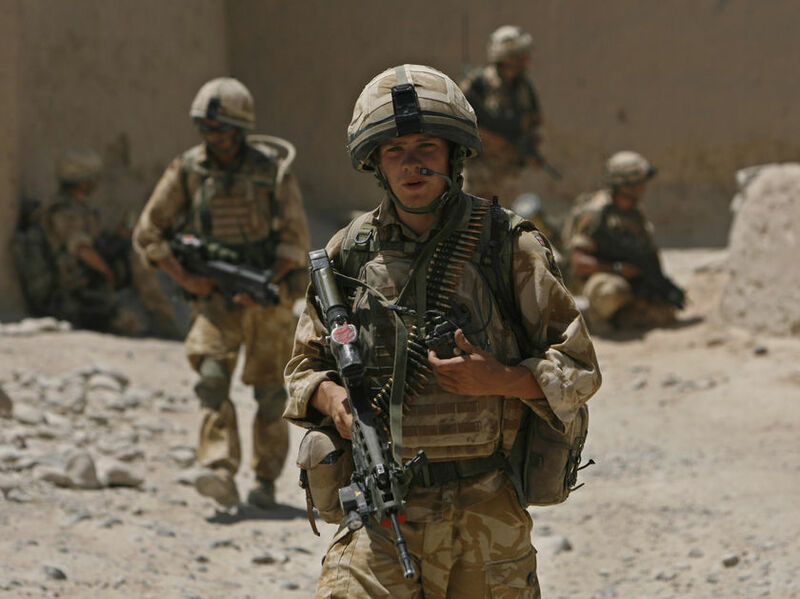 The jurisdictional question was whether a British soldier on military service in Iraq was subject to the jurisdiction of the UK and thereby entitled to the protection of the Convention or whether that only applied to a soldier when he was at a British military base or in a military hospital. Although Private Smith died in a British medical facility, and so the point was academic, the question was of great general significance and was fully argued. The core dispute was whether the UK’s jurisdiction is essentially geographical (as the Secretary of State contended) or whether jurisdiction can be personal as the claimant (and the Equality & Human Rights Commission, which intervened) contended. The Court of Appeal (Sir Anthony Clarke MR, Keene and Dyson LJJ) had dismissed the Secretary of State’s appeal from Collins J’s judgment that the Convention did apply to protect soldiers serving abroad. In R (Al-Skeini) v Secretary of State for Defence  1 AC 153, Lord Rodger focussed on the relationship between the victim (in that case Iraqi nationals some of whom were held in a British detention centre) and the contracting state for the purposes of Article 1. The Court of Appeal adopted a similar approach: holding that there was plainly a sufficient link between Private Smith and the UK when he died. British soldiers were subject to UK jurisdiction wherever they went; they were subject to UK military law without territorial limit and could be court-martialled for offences wherever committed. Soldiers served abroad pursuant to and as a result of the exercise of UK jurisdiction over them. There was no sensible reason for concluding that the link between the British soldier and the UK only existed whilst he was at a base/hospital but not when outside the base. Although Al-Skeini had limited the Convention’s jurisdiction to persons held in British military custody and had not extended it to persons, say, who were killed or mistreated outside a UK detention facility abroad, those were very different facts albeit involving the same jurisdictional questions and so not dispositive of Smith’s case. The Court of Appeal and the Administrative Court both reached their conclusion by distinguishing the otherwise binding decision of the House of Lords in Gentle. The House of Lords in Gentle had refused to hold that the deaths of British soldiers (outside bases/hospitals) gave rise to any Article 2 obligation to hold a public inquiry into the circumstances surrounding the Iraq war. Lord Bingham in Gentle had stated that the soldiers in question were not within the jurisdiction of the UK when they died. But he did not give that as a free-standing reason for holding that Article 2 did not apply. In other words, the jurisdiction issue was not part of the ratio of Lord Bingham’s decision (nor of the other Law Lords’ speeches). The Supreme Court allowed the Secretary of State’s appeal by a majority of 6-3. The majority held that, according to the ECtHR jurisprudence, ‘jurisdiction’ within the meaning of Article 1 was essentially territorial but could extended in exceptional circumstances requiring special justification to other kinds of jurisdiction. What were those exceptions? According to Lord Phillips it was unlikely that the Contracting States, when they agreed the Convention in 1951 in the aftermath of World War II, had regarded it as desirable or practicable to extend the protection of Article 2 to troop operations abroad. It was a “novel” suggestion that a state’s armed forces by reason of their personal status fell within the jurisdiction of the state when on foreign soil and the proper tribunal to resolve the issue was the ECtHR itself. (iii) commonsense extensions of the notion of jurisdiction to fit cases which plainly should be within the scope of the Convention. In his view, Smith’s case came within none of those categories. Jurisdiction could not be established simply on the basis of the UK’s authority and control over them, nor were there policy grounds for extending the scope of the Convention to armed forces abroad, which would ultimately involve the courts in issues relating to the conduct of armed hostilities which were essentially non-justiciable. Lord Mance, dissenting, considered that as an occupying power in Iraq, the UK had under international law an almost absolute power over the safety of its forces. The relationship was not territorial but depended on a “reciprocal bond” of authority and control together with allegiance and obedience. In his view the ECtHR would hold that the armed forces of a state were within the meaning of Article 1 and for the purposes of Article 2 wherever they might be. Lord Kerr agreed. If the state could “export” its jurisdiction by taking control of an area abroad it could equally do so when it took control of an individual. In his view this had already been recognised albeit obliquely by the ECtHR. Lady Hale also dissented for similar reasons and also expressed concern that the issues before the Court were hypothetical on the precise facts of Smith’s case. 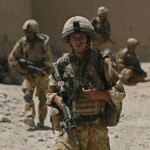 She expressly re-affirmed her view in Gentle that British soldiers serving in Iraq were within the jurisdiction. On the narrower (but equally important) issue of the type of inquest required, Lord Phillips held that there was no automatic right to an Article 2 compliant inquest whenever a soldier died on active service. But if in the course of a public inquest (e.g. after the soldier’s body had been returned to the UK) it became clear that the UK’s positive obligation under Article 2 may have been breached then the coroner should convert the inquest into a full Article 2 compliant inquest. In this case, the Secretary of State conceded that the original inquest was defective and the courts below had found that the UK may have breached its positive obligation by failing adequately to protect Smith and other troops from heatstroke. The Secretary of State’s appeal was therefore unanimously dismissed on the inquest issue and the new inquest will be Article 2 compliant. The majority of the Supreme Court held that it was not bound by Lord Bingham’s dicta in Gentle (which were not at the heart of that case), although they did lend support to the correctness of the House of Lords’ decision in Al-Skeini. The majority noted that Al-Skeini was pending in the Grand Chamber of the ECtHR (it was heard last month) and was clearly wary of clashing in advance with that ruling. Although the interaction between international law, international humanitarian law and international human rights law was noted by the majority they did not feel able to hold that this provided a broad basis for establishing jurisdiction in military operations. The decision in Smith only serves further to emphasise the importance of the awaited outcome in Al-Skeini in the ECtHR GC. On one view, the decision on jurisdiction in Smith is simply the Supreme Court applying the mirror approach to Strasbourg jurisprudence; cautiously keeping pace with the international court but not daring to step ahead of it. But this was a field where Strasbourg has, at least according to the minority, apparently given a tentative green light in a number of its decisions touching on (but not finally deciding) jurisdiction for military operations abroad and an incremental approach would not have been especially legally courageous. Perhaps, as Lady Hale said in a recent lecture, “Willingness to leap [ahead of Strasbourg] depends upon the type of question being asked”. But intuitively, Smith provides no clear and compelling answers to the following questions: If a soldier is always subject to UK law, wherever he may be, why should he not thereby be also entitled to the protection of UK law (including the Human Rights Act)? If the State can exercise jurisdiction in respect of a whole territory abroad which it controls, why does that logic not apply equally to soldiers who are always under its legal control when they are conducting military operations in its name? Leave a reply on "Case Comment: R (Smith) v Secretary of State for Defence  UKSC 29"